Reserve Your 2019 Chrysler Pacifica! You Are Here: Home > Reserve Your 2019 Chrysler Pacifica! Reserve Your 2019 Chrysler Pacifica in North Miami Beach! Winning award-after-award, the Chrysler Pacifica has proven to be the number one family minivan in an auto market of SUVs and crossovers. Filled with all kinds of entertainment options for all ages, there’s never a dull moment in the Pacifica minivan. Come to Aventura CJDR for a test drive today. With a total of six trims making up the 2019 Chrysler Pacifica lineup, each is powered by a 287hp 3.6-liter Pentastar V6 engine. Designed with variable valve timing (VVT) and “Electric-Start-Stop” (ESS) technology, this minivan has been optimized for the best performance with a highway fuel economy of 28 mpg. With over 100 innovations for convenience and safety, Chrysler offers everything from a 360-degree surround view camera system to full speed forward collision warning plus on the Pacifica minivan. Chrysler has outdone themselves with the technology in the 2019 Chrysler Pacifica, able to opt-in for a 20-speaker Harman Kardon sound system and a Uconnect Theater entertainment system with two 10-inch seatback touchscreens. Plus, 4th generation Uconnect comes standard on a 7-inch display across the lineup. Looking for the number one minivan in the market? 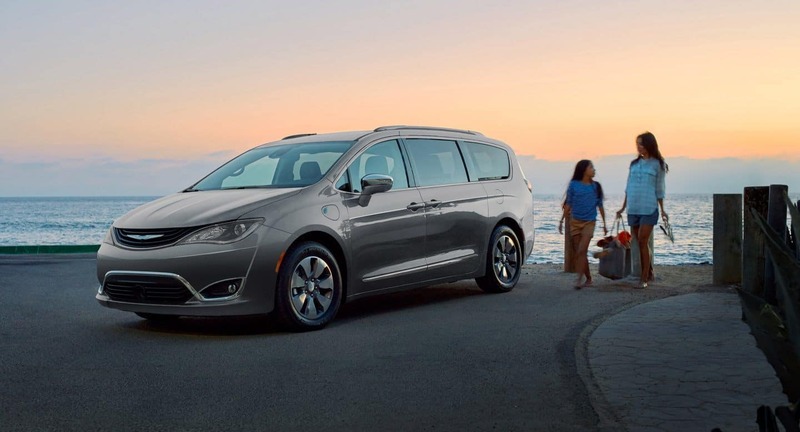 With safety, style, and all this technology, the 2019 Chrysler Pacifica has everything for the parent on-the-go. Show up to after-school soccer practice in style and have enough space to carpool to the pizza party after.